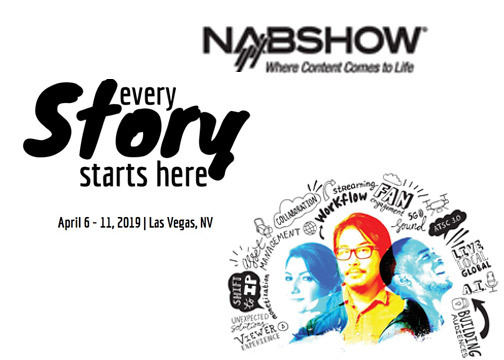 Las Vegas, NV—At NAB, Post/Production World (P/PW) is a leading training event for content creators and designers. It’s tailored for new media specialists, TV, film and video editors, producers, directors, graphic artists and motion graphics designers. The six-day conference features training offerings that can help industry professionals enhance their narrative and technical skills through 250+ breakout sessions. Here is a sample of notable sessions. Small Unmanned Aerial Systems (sUAS or drones) are a staple in the tool kit of videographers. They not only create beautiful video from new (and previously unachievable angles) but also collect data that can be used for other production content. Attendees will fly with top instructors who share best practices and can address any questions ranging from maintenance to regulatory changes. April 5, 11:30 a.m.–6:00 p.m.: The Space, 3460 Cavaretta Ct. The 360º/VR video industry continues to grow with more channels for consuming immersive content. Combine this with affordable and evolved spherical cameras that simplify how you capture footage, and you have an industry on the verge of exploding. This field workshop gets you up and running in 360º, providing an understanding of the workflow from production to post. Nick Harauz empowers attendees with the tools, knowledge and hands-on experience required to create immersive masterpieces. Note: It requires separate registration at $665. High Dynamic Range can mean a lot of things to different groups. As higher and higher dynamic range screens becomes available to motion picture audiences, the industry will need standards. Creatives explore the medium’s limits and storytelling value. Too many people think working with the latest low-light-capable cameras is working with no lights; not true. Join Gary Adcock as he discusses the issues, needs and requirements when shooting in extremely low light and how your production’s camera and lighting choices can make or break your production. This session covers various software applications and digital platforms, as well as new approaches to present multimedia content. Are you looking to produce online educational content? Join Richard Harrington and team members from RHED Pixel. They share secrets to producing effective online content to educate and inspire others. 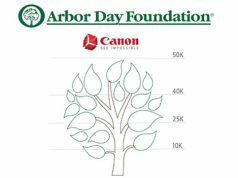 Their past client roster includes Adobe, Apple, lynda.com, Microsoft and the American Red Cross. Learn how to produce a range of projects from simple screen capture videos to complex projects. Virtual reality is more commonplace with the advent of affordable 360º cameras, such as the Insta360 One X, Ricoh Theta and GoPro Fusion. It’s the most immersive way to bring viewers to a location without leaving their homes. Taking VR to the skies is an uncommon platform yet to be utilized. In this session, you explore easy ways to achieve VR in the air, including the gear, shooting techniques and postproduction workflows in After Effects, Photoshop and Mocha VR. 360º video offers creative professionals unique ways to create immersive content. In order to share that content, users must have a solid understanding of the 360º/VR post process. This session can help you get up to speed with the fundamentals of 360º video postproduction. It covers techniques to stitch together footage and edit VR clips in Adobe Premiere. You learn what to watch out for when adding transitions and effects and making sure your projects are ready to be experienced on the web. Creating effective lighting sets the stage for successful interviews by making them visually compelling. Many struggle with which lights to use and where to place them for the most dynamic shot. This session explores the concepts of lighting so no matter what instruments are on the set, the result will be dynamic. It features practical, easy to learn methods for making subjects look their best. Adding cinematic effects to photography is one of the most effective techniques for creating powerful promotional animations. Often referred to as cinemagraphs, these animations combine the communication speed of a photo with the attention-grabbing power of motion. You explore techniques for combining video with photographs, and creating special animated effects with After Effects. Many of the tools, rules of thumb and techniques we rely on in “flat” cinema don’t apply to shooting 360º video—they may even create counterproductive results. This course focuses on common mistakes and obstacles that seasoned filmmakers encounter when working on spherical productions. You learn how to: approach projects from the perspective of world building rather than storytelling; capture a scene without coverage—controlling the point of focus without focal length, depth of field, framing, inserts, close-ups or editing; how to segment action in the frame and use stitch lines to your advantage; how to shoot with no visible crew; and how to invite viewers to participate in the telling of the story.